Jenna Fox has been in an accident; a really bad accident. After spending a year in a coma, she wakes up, not in a hospital, but a house she has never seen before. Her mother and grandmother are by her bedside, with anxious faces. There's only one problem. Jenna Fox does not remember anything. 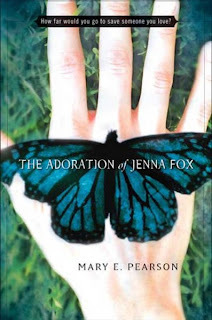 Mary E. Pearson keeps you guessing the entire book. Every page reveals a new mystery ast to why her parents moved her away from her home town after the accident. Why none of her things came with her. Why they won't let her attend school. Ms. Pearson has written a novel which will make the reader rethink everything they have thought about what life really means. Don't let this book sit on the shelf! Immerse yourself in a world which seems like the one all around you, but holds something wondrous and terrifying underneath the surface.